Because I enjoy writing: Let’s face it if you blog you’re going to be writing a lot so you better enjoy it. Fortunately I do. Blogging isn’t easy. There are many nights when the last thing in the world I want to do is publish another post. Enjoying the act of writing helps a lot in getting posts finished on those days. 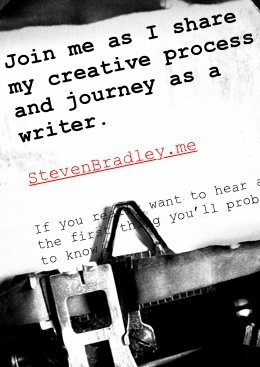 Blogging gives me a chance to improve my writing skills daily and maybe one day those skills will be good enough to create the next great American novel. Because I enjoy reading: To maintain a blog for any length of time you have to read a lot of what else is out there. I love to read and even decided in part on my current career because I found myself wanting to read about it every night after work. Because I enjoy learning: I certainly don’t know everything, but I’m always looking to know more. Posts like this one on linkbait or this one on long tail keywords started simply as a desire to know more about something. I’d heard the terms, wanted to know what they were about, spent some time researching, and turned that research into a post. Because I have a tendency to teach: What’s the fun in all that learning if you can’t share it with someone. If I can help a few people make their sites a little better or show them how to drive traffic to their site or just help someone to understand something they didn’t before then it makes me feel like I’ve made a difference in this world. It always makes me feel good when someone leaves a comment here letting me know one of my posts helped them in some way. Because I have opinions: Hard to believe I know, but it’s true. Like most people I have an opinion on just about everything. Having a blog gives me a platform to express some of those opinions. Because I want to connect with other people: I want to know you. Whether you’re another blogger, a regular reader, or just someone who stumbles across a page here. Commenting on your blog, carrying your conversation here, or having you comment on something I’ve said gives me a chance to get to know you better. Because I want to be more transparent: I want you to know me. You’re never going to get to know me through a sales page and there’s only so much I can tell you about myself on an ‘About’ page. Through the blog I can reveal a little more about myself and let you know me better. Because I want to give you a reason to visit: I’m smart enough to know you’re not going to come back here again and again to read what services I offer. I want you to come back though, and so I need to offer you a reason. Hopefully the blog gives you a reason to visit again. And when you do feel free to leave a comment so I can get to know you better. Why didn’t I think of tagging Corey Bryant? He’s one of the few people with real knowledge of e-commerce, payment processing, etc. Adam it’s obvious. I’m just smarter than you are. Actually it was dumb luck. I chat with Corey most days since we’re both members of a couple of small business forums. I help him moderate one, though he does most of the work. He just happened to start a thread the other day about how he recently signed up for MyBlogLog. I had replied to the thread earlier in the day so Corey was connected with blogging in my head. Like I said just dumb luck. It’s only fair though since I was planning on tagging you only to discover someone beat me to it. How does it feel blogging for less than a month and already being involved in the latest meme sweeping the blogoshphere? Wow. Cool. I wish someone tagged me :(. Guess I’m not lucky this time. I think I should have some great blogging friends to tag me and all. You tagged me last time, Van. That was really sweet. Hey Sreejith. I thought I would tag a few other people this time just to be different, but if you take a look back up at the post you’ll see I’ve added you so consider yourself tagged. I don’t think there’s any strict rules on this one so I think it’s fine to tage six people. Thanks for the compliments too. I do really enjoy blogging even if some days it’s more difficult than others. Hopefully the blog keeps improving. That’s certainly the goal. Thanks too for always reading. I always see you popping in and I appreciate it. Flattering and a little bit creepy all at the same time. Thank you for watching Big Brother. Big Brother is watching you! Just take it as a compliment. You’ve obviously made people aware of who you are, which is half the battle. Oops !! I forgot to check the comments. Yepee !!! I’ve been tagged. Thank you, Steven, you’re the best. I appreciate it and I wish there was some way I can repay you for it. Happy to oblige. Just keep reading and commenting. That’s payment enough.